Hermione Granger endlessly quotes Hogwarts a History when discussing things that can and cannot be at Hogwarts School of Witchcraft and Wizardry. 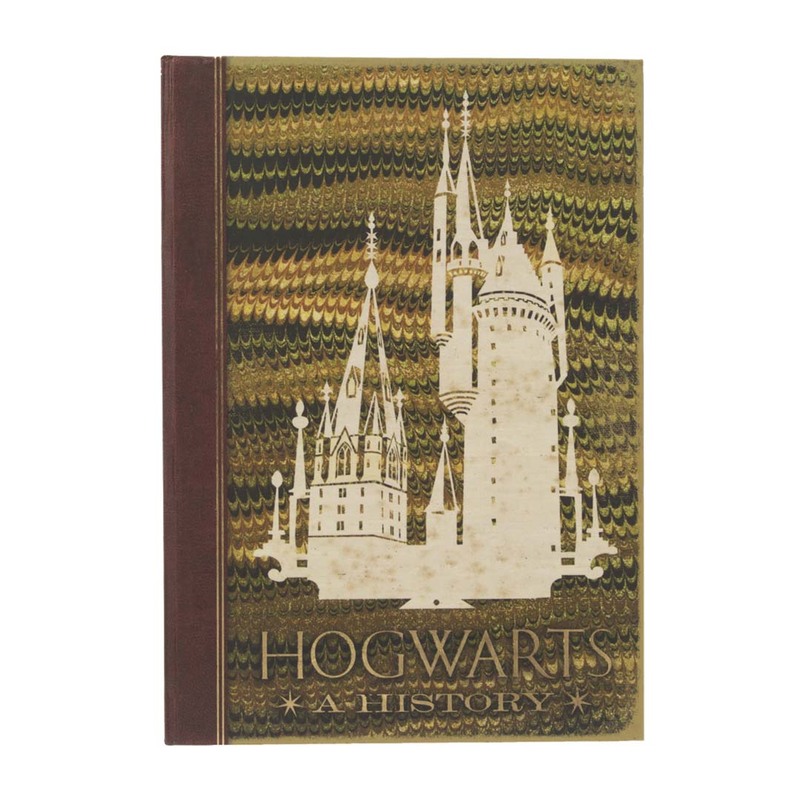 Now you can have your own copy and write your own History of Hogwarts. This beautiful lined journal features metallic accents on cover with matching metallic page edges and coordinating ribbon bookmark.